If you’re in a hurry, check out our top pick, 1byone Indoor Amplified TV Antenna with a slim and lightweight formfactor. Looking to cut cords and save money on your monthly utility bills? For under $100, you can purchase an indoor TV antenna that allows you to watch free over the air programming. Savings are significant since the average cable bill can cost well over $50 per month. An indoor TV antenna also eliminates the fee charged by many cable companies for broadcast channels. Indoor TV antennas are also useful since not all cable providers offer access to all local channels. While there are outdoor antennas in the market, they are more difficult to set up and if you are in a location with good reception, an indoor antenna is a better choice. When shopping for the indoor antenna, make sure you keep in mind the following factors before purchasing. Since one of your goals is likely to save money, your first instinct may be to buy the least expensive antenna available. This can be a costly mistake since models will have features that directly affect how well you can broadcast channels. On the other hand, a costly TV antenna doesn’t guarantee crystal-clear picture quality. Your geographical location will play a large part in how well the antenna will work for you. In many cases, channels will either work or not work once you install your antenna. Don’t expect to wrap aluminum foil around the antenna and suddenly have much better reception. The good news is a lot of broadcast channels received via an indoor TV antenna will have much better picture than the quality you have experienced through satellite and cable providers. The reason for the improvement is transmissions received through antennas are compressed to save bandwidth. One of the major features to choose between when shopping for indoor TV antennas are amplified or non-amplified versions. 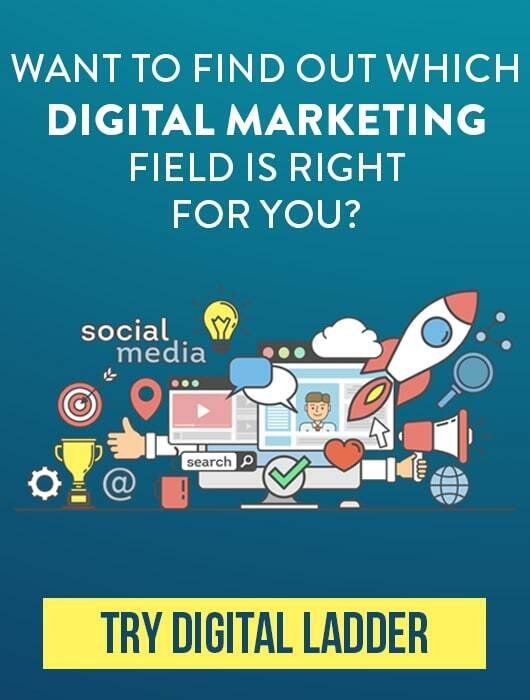 Your location will be the biggest consideration when deciding if you need an amplified version. Amplified versions are more expensive, so if you can use a non-amplified, also called passive version, that would be preferable. If you are in an area where stations broadcast within a 20-mile radius, a non-amplified version is likely to work well for you. Amplified versions increase that distance to an average of 50 miles and more. As a general rule of thumb, if you live in an urban area, a passive antenna will prove reliable. Suburban and rural dwellers may want to invest in an amplified version to get the most access to local channels. Although you may simply want to buy the strongest antenna possible to get the best reception possible, this may actually backfire on you. If the antenna you purchase is too powerful, it can overwhelm a digital tuner in urban areas with increased broadcast signal strength. Keep in mind that amplifiers can be added as an aftermarket piece of equipment to your antenna. Online web tools like AntennaWeb.org can provide you with antenna recommendations based on your location. Another buying consideration is whether the indoor antenna covers UHF, VHF or both. Recently, many HDTV indoor antennas are UHF only. In a good number of areas, UHF is perfectly fine and you’ll be able to receive the locals you want. However, if the broadcast channel is still on VHF, you’ll want to purchase an indoor antenna that covers both channels. Since finding the best indoor TV antenna for you can involve some trial and error, choose to purchase from a store with a generous return policy. You want to have the option to easily return the antenna for a full refund in the event you’re unable to broadcast your local channels. Before shopping for indoor TV antennas, you must figure out the direction the local broadcasts are coming from. Although the majority of transmissions may come from the same general direction, you may find some distinct differences. This is important to know because when you’re scanning the features and reviews of indoor TV antennas, you’ll find that some work well-accepting signals from multiple directions while others don’t do as well. Tools from online websites like TVFool.com prove very helpful for getting directional assistance with your antenna. To start, plug in your address into TVFool.com to perform a detailed analysis. Their database includes both digital and analog channels. Although the report may look complicated, a color-coding system simplifies the data. All “green” channels will be accessible via a set-top antenna. “Yellow” channels will require an attic-mounted antenna. The “red” channels will require a roof-mounted antenna to view. Any “gray” channels are not likely accessible at your location. Distance and direction is also listed within the report as a way to guide you on choosing the best antenna for your specific needs. The tool doesn’t consider factors such as trees and buildings around your home, so keep that in mind when shopping for antennas. These online tools are typically highly reliable and if they state you will have difficulty receiving broadcasts, then adjust the type of equipment you plan to buy. TVFool.com also provides you with co-channel and adjacent channel warnings. Co-channel warnings are when two transmitters are broadcasting on the same channel and may interfere with one another. Although the FCC attempts to avoid interference, individuals who live between two broadcasts on the same channel may experience technical difficulties. The amount of interference, if any, will depend on the strength of the transmission and the type of antenna you’re using. Adjacent channel warnings really will only affect you if you’re nearby a transmitter. Very strong transmitters may block out weaker channels. Many receivers are able to resolve this issue with built-in adjacent channel rejection capabilities. Directional antennas will be another consideration to make when shopping for indoor TV antennas. If obstacles like tall buildings surround your home, then it’s likely to cause interference and prevent you from accessing the channels you need. Even natural landforms like hills could make signals completely unstable. A directional antenna gives you the option to setup the antenna in a way to eliminate interference from objects. If you reside in an area without a lot of objects blocking your home, then an omnidirectional antenna is perfectly fine. The type of cables included with your indoor TV antenna will have a big effect on reliability. Choosing antennas with detachable or longer cables will allow for better placement during setup. Most of the time, you’ll put the antenna near a window and you may need the extra length to reach the area. Extension cables are available if the included wires don’t have the suitable length. Once you choose a place for the antenna, you must decide how best to mount it. Some models include adhesive strips to secure the antenna to a window or wall. Larger antenna models may require hardware mounting to the wall. Check for any metal surrounding the antenna since it can cause signal interference. After you choose a location for the antenna, connect all cables. Antenna cables are plugged into a TV sets “Cable/Antenna” connection. When you’re ready to use the antenna, the best way to locate channels is to perform a “Channel Search” using your remote. If an antenna is the best choice for your home, you may be able to pull in a few extra channels then the standards. For instance, your antenna may be able to play radio broadcasts or foreign language programming. For just under $10, you can secure the highly rated 1byone 25 Miles Range Urban Antenna. This version was made specifically for households in urban areas who are nearby transmitters. The antenna works with broadcasters within a 25-mile radius. The antenna has a super thin design and works best when mounted on a wall or window. The antenna gets reception on FM/VHF/UHF channels and supports 1080 high-definition broadcasts. The antenna doesn’t include an amplifier and depending on the desired placement, you may need an extension for the 10′ cable. Another slim profile antenna in the budget category is the Channel Master CM-4001HD FLATenna. For $20, you get a maximum range of 35 miles with the antenna. Like the 1byone Urban Antenna, this product is geared toward city residents. All coaxial cables are included in the box and the slim design permits placement on a shelf, wall or window. It’s an omnidirectional model with UHF/VHF channel access. With a slight difference in price, you can get a lot more bang for your buck when it comes to indoor TV antennas. One standout in this price category is the 1byone Indoor Amplified TV Antenna 50 Mile Range. Upgrades from their budget model include a longer 20′ cable and an increased mile radius of 50. The antenna also includes an amplifier that allows you to toggle signal strength on and off. When turned on, you may be able to access additional channels. Adhesives are included with your purchase to make mounting to the wall or window easy. This model has a receiving range for VHF/UHF/FM channels. The Vansky 2018 Upgraded Indoor Amplified Digital HDTV Antenna 50 Mile Range has similar features as the one from 1byone. The included amplifier gives the antenna the same range of 50 miles. However, instead of a switch mechanism, the amplifier is detachable. If you do happen to live less than 20 miles from broadcasters than you’ll want to remove the amplifier. Over the air programming in 1080 high definition is accessible with the Vansky antenna. Mounting stickers are included with the manufacturer recommending window placement. The antenna supports UHF/VHF channels and is an omnidirectional model. The antenna comes with a 16.5′ cable for installation. 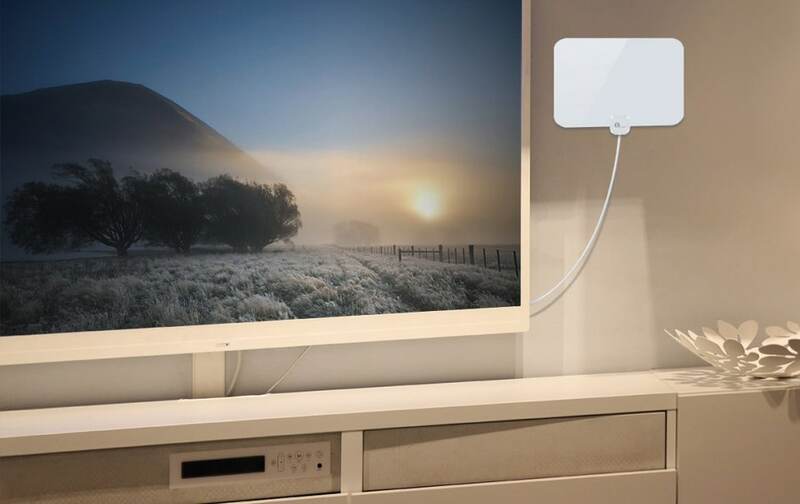 The indoor antenna Mohu Leaf 30 TV Antenna, Indoor, 30 Mile Range may not have an extended range, but it includes many unique features that makes it worth a closer look. The Mohu antenna is constructed out of paper-thin materials as a way to blend well into your décor. The material can be painted any color as well. The antenna is multidirectional and reversible in order to help you get as many channels on your TV as possible. The 10′ plug that comes in the box is detachable. No amplifier is included with this model of antenna. The 1080p output allows you to watch crystal clear high definition broadcasts at no additional cost. A similar model to the Mohu Leaf is the Winegard FlatWave FL-5000 Digital Indoor HDTV Antenna. This model has a 30-mile range and does not include an amplifier. The antenna has a thin design with one black and one white side. The dual colors are intended to help users match the antenna to their current décor. The antenna receives UHF/VHF channels and is 4K ready. The multidirectional antenna comes with a mini 15′ coaxial cable for installation. The antenna can be mounted with the two 3M strips that come standard in the box. If you’re looking for a versatile and high-performance antenna, then it’s worth checking out the ClearStream 2V Indoor/Outdoor HDTV Antenna with Mount – 60 Mile Range.This all-weather antenna can be placed indoors or outdoors depending on your proximity to broadcasters. The ClearStream antenna is a good option for those who are not nearby major broadcasters and need an antenna with a longer range. Suburban and rural dwellers may need this type of antenna. Homes with obstructions like large trees and buildings have also found the antenna reliable. The antenna’s dipoles can extend up to 35” as a way to improve the broadcast signal. The circular design is intended to eliminate the need to rotate the antenna for better reception. The antenna is 1080 and 4K ready. Indoor and outdoor mounts are included, but you will need to purchase a high-performance coaxial cable for installation. The ClearStream 2V Indoor/Outdoor HDTV Antenna with Mount and 30ft Cable – 60 Mile Range has similar features as the previous model, but a few notable upgrades. The most significant feature is the antenna includes a heavy-duty 30′ cable for installation. It also includes a 20” J-Mount mast as a way to secure the antenna in all types of weather conditions. The antenna receives VHF/UHF broadcasts. The ClearStream antenna will provide you with beautiful picture quality for 1080 high definition broadcasts. Most households can successfully access broadcast channels such as ABC, NBC, CBS, FOX, CW, PBS, Univision and many more. The higher-end antenna models are only needed for households in rural areas or those located nearby outdoor obstructions. If you’re still unable to get the channels you want with a basic antenna, try a version with an amplifier. Once you’re getting over the air broadcasts, you can contact your cable or satellite provider to reduce your service plan. Indoor HDTV antennas are a low-cost way to cut the cord and start enjoying free over-the-air programming. Besides network shows, local sports are broadcast at no cost to you. Unlike the unsightly rabbit ears of years past, the newest low-profile models will blend with any type of décor. With amplifiers built into antennas, you can even get free HDTV without living nearby major cities. Buy any of the mentioned models above through Amazon and you will get free Prime shipping with two-day delivery.